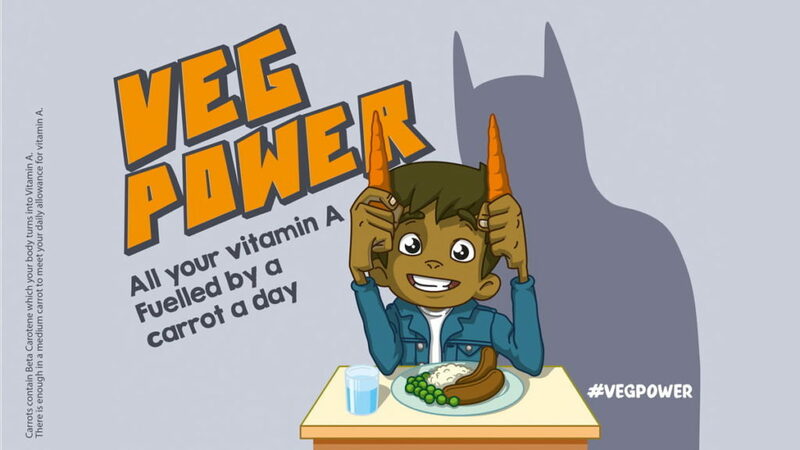 Veg Power is a collaborative campaign that is shining a spotlight on the lack of advertising spend for veg and is calling for a different approach: The Veg Ad Fund aims to harness the joint power of all those that benefit from veg consumption – farmers, retailers, restaurants and government. Poor diet is now the greatest threat to health and well-being in the UK and yet only 1.2% of food and drink advertising is being spent on promoting vegetables to children. In fact, a recent study by the Food Foundation showed that a shocking 95.5% of children aged 11-16 aren’t eating enough vegetables.